Over the course of a single week, today’s top companies receive thousands of resumes that end up in the rejection pile, leading job applicants to wonder what to write in the objective part of a resume. After all, the “objective statement” is a resume staple, and its construction determines your success as a viable candidate, right? In reality, the objective statement died along with heavy weighted paper and physical resume delivery during the middle of the 20th century. Thanks to advanced technology and digital applications, hiring managers have increased their expectations when it comes to employee viability. 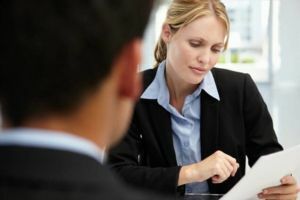 Those with objective statements slapped onto the top of a resume will find their efforts wasted on today’s HR executives who look for what an employee can give them rather than what they can give an employee. What does belong on the modern resume in place of objective part of a resume? Enter: the personal profile. Professional profiles answer what to write in the objective part of a resume by making resumes sharper and clearer than ever before. What is a professional profile, and how does it differ from an objective statement? Think of the professional profile as a condensed version of your resume as a whole. The paragraph should include the most relevant information specifically related to the job to which you’re applying. For example, a graphic designer may include a few sentences on educational or technical training as well as information on the latest projects she completed and her last major employers or freelance jobs. The professional profile should tell the company why they should hire you, and your resume should provide supporting evidence for this statement. Does one job description apply to all jobs equally? Of course it doesn’t, and neither should your resume take the one-size-fits-all approach that so many job applicants use today. Certain jobs in your wheelhouse will carry similar responsibilities, but some jobs differ dramatically in terms of required skills and educational background. For these jobs, tailor the professional profile to reflect the most important and relevant skills you bring to the table. If that means totally rewriting your profile, then do it. Hiring managers don’t want to see a paragraph of vague, boilerplate attributes; they want to know why they should hire you. Tell them why in an original way for each different job. This is what you should write in the objective part of a resume. Whether you live in Michigan or around the country, the certified professional resume writers at Vertical Media Solutions can help. We take pride in delivering top-notch, personalized resumes, Curriculum Vitae and cover letters for internal job opportunities. Contact us and get answers to your questions: 616-631-4300, 517-308-0800 or 734-385-7000.